How do you affect other humans? Just watch their reactions to you and hope that they are not reacting covertly in their minds only and honestly being overt about their reactions to you. Keep in mind that most humans do not want to hurt your feelings if it is possible and that means that they will not always be overtly honest in their reactions to you. Hopefully you have one or two close friends who mostly react in honest overt ways with you so you can judge what others approximately may truly think of you. Humans in general affect the wilderness in devastating ways and this must end soon or future generations will pay dearly for our reckless and irresponsible behavior towards it. Wilderness, our only safety net for a healthy food supply when irresponsible use of technology ruins the health of our domestic food supply and devastates biodiversity. This entry was posted in common sense, education, science, society and tagged cause reaction, common sense, education, effect, language, science, society, the truth about affect, truth, words on December 9, 2015 by uldissprogis. Science has made remarkable progress because of the scientific method, mathematical rigor, and experimentation verifying that results can be duplicated in the lab and in effect proving that a theory or formula is valid or true. Outside the lab reality is different and not so mathematical and only probability statements can be made about the possible cause and effect relationships between often vaguely defined variables. There is no certainty in statistics and no true cause effect relationships which can be verified over and over again with mathematical accuracy. Social and political science are sciences in name only and do not meet rigorous scientific standards. Statistics on political polls are a perfect example. A poll can vary from day to day and the wording of the questions asked greatly determine the truthfulness of the answers. Some questions are so vague or misleading that humans may decide to answer the way they are expected to answer and not how they truly feel about an issue. Financial wealth, occupation, married or unmarried status, age, education, region of the country, and differing beliefs and opinions all make polling potentially very unreliable with bad predictive value. Even statistics and polls on who you will vote for can change almost overnight due to some political statement a candidate may make which changes the opinion of many voters overnight. You can consider questions asked humans and the answers gotten as experiments on them to determine cause and effect relationships for them. If they are not lying then your results or useful information about an individual will be quite reliable but if the person is deceitful or lies then your conclusions about him or her will be inaccurate and not very useful. This entry was posted in common sense, education, science, society and tagged cause, common sense, conclusions, education, effect, experiment, judgments, probability, relationships, science, scientific method, society, the truth about experiment, variables on October 8, 2015 by uldissprogis. The more mathematical our reasoning is the more logical it is and if science can be included in our reasoning then it becomes the ultimate in explaining the existence of phenomenon in this universe. Some reasoning is not very mathematical and it is cause effect reasoning or the assumption that one or more causes create one or more effects. 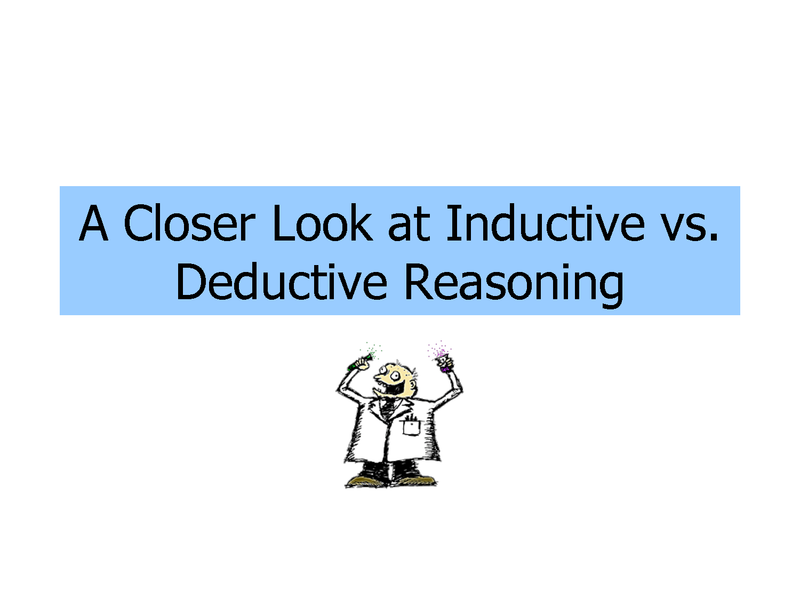 Deductive and inductive reasoning is really a skill at following a cause effect chain from beginning to end (deductive reasoning) and from end to beginning (inductive reasoning). The concept of spatial arrangements using sets and subsets to describe the universe makes the most sense logically and is a way of grouping things and/or events into connected clusters. Logic is really making accurate correspondences between movement or verbs and/or the environment or nouns. If we accurately describe the world and the way it operates then it has predictive value and we can make similar descriptions about the world in the future or past. If we make inaccurate descriptions of the world in the present then it is not very useful and has little or no predictive value about the future or past. Nothing is more important than accurate descriptions of words or definitions because if our definitions are vague and inaccurate then their use in the world will also be rather vague and inaccurate. The humanities and pseudo scientific politics and sociology uses badly defined words to try and describe reality and it is relatively useless with little predictive value and is mostly a statement of statistical norms and not cause effect relationships. To make the humanities more logical I have attempted to define words more logically and have new more accurate definitions for love, hate, empathy, pity, cruelty, steal, deception, etc. and this more logical approach makes greater sense than ever before and makes possible more rigorous or accurate descriptions of reality. They are not scientific definitions so their predictive value is not absolute but at least it is a step in the right direction in making language more logical and less emotionally biased. More logical definitions means a smarter language and humans who use the words with greater understanding will make smarter more logical choices in their lives. If you have accurate reasoning ability in an area of expertise then you can be said to be logical in that area of expertise under many circumstances. You are being logical if you can accurately find correspondences between a cause and effect or a series of causes and effects. You are also logical if you can find relationships or correspondences between a set and subsets and between the subsets themselves. You are also logical if you make accurate probabilistic communications about events. You are logical if you accurately use historical precedents and present observations to make relatively accurate predictions about the future. You are logical if you can use mathematics to describe the relationships or correspondences between variables in physics, chemistry, and biology. You are logical if you use the scientific method to discover new facts, relationships, or correspondences between variables, sets and subsets. 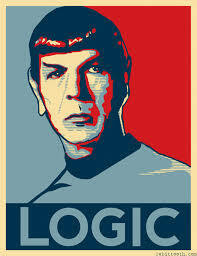 You are logical if you can make accurate correspondences. You are logical if you accurately predict the future behavior of a human based on historical precedent or based on the behaviors of that human or a group of humans similar in behavior to that human. You are more logical if you use words with accurate logical definitions and not vague badly defined ones. Finally you are logical if you can accurately observe someone’s emotional state and can predict another’s behavior relatively accurately. You are also logical if you can control or change the emotional state of another in a relatively predictable way. If you want a complete list of the new logical definitions for words then read my evergreen truth book SCIENTIFIC THESAURUS which has over 6000 logical word definitions. This entry was posted in common sense, education, science, society and tagged accuracy, cause, common sense, definitions, education, effect, language, logic, reasoning, science, society, the truth about logic, words on September 4, 2014 by uldissprogis. Most unscientific reasoning tries to connect a cause and effect or events in a probabilistic way using times as reference points. The most successful reasoning exists in science using the scientific method of reasoning with the aid of mathematics and the concepts of sets, subsets, and variables. The results of this reasoning is frequently certainty and a 100% probability or a statistical numerical probability. In human behavior and analysis of events there is a certain probability that exists between a cause and an effect or between relatable or corresponding events. Deductive reasoning starts with a cause or causes and tries to deduce what the possible effects might be based on historical precedent or direct observation. Sometimes the effect or effects become a cause or causes in a chain or series of cause effect relationships or correspondences. Inductive reasoning starts with an effect or effects and tries to determine what the cause or causes might have been or are based on historical precedent or observation. Factual events which can be verified or known to exist are the most useful in making cause effect relationships or correspondences but some reasoning about behavior is frequently based upon historical precedents of the parties involved. Some probabilistic conclusions are made about events which exist without seeming causes but appear to be largely random in nature. If a human has an impeccable reputation for honesty then the probability that he is lying is minimal. Similarly there is a high probability that one with a bad reputation is probably lying about something. If someone has been late for work about once a month for the past six months then the probability that he will be late about once a month for the following six months is relatively high based on historical precedent. If you define sympathy as a subset of empathy then you can conclude that there are more empathetic behaviors than sympathetic ones although the actual number may not be known. This kind of reasoning involves synthesis or analysis of a set and subsets and then making conclusions about the relationships between the set and subsets. Reasoning is communications about the probabilities between a cause(s) and an effect(s) or between events and communications about the relationships or correspondences between a set and its subsets or the relationships or correspondences between the subsets themselves. Probability communications are made about the past, present, and future. Historical precedent and/or direct observations of facts are frequently the most useful in making predictions about the future. If you reason without an understanding of probabilities, sets and subsets, and historical facts or accurate observation of facts then your reasoning ability is very bad and frequently biased by intuitive emotional reactions which are frequently inaccurate. If you can predict emotional states of a human by observation and then control or change the emotions and behavior in a predictable way then you are using reasoning ability. This entry was posted in common sense, education, science, society and tagged cause, common sense, deductive, education, effect, inductive, logic, probabilities, reasoning, science, society, the truth about reasoning on March 25, 2014 by uldissprogis.